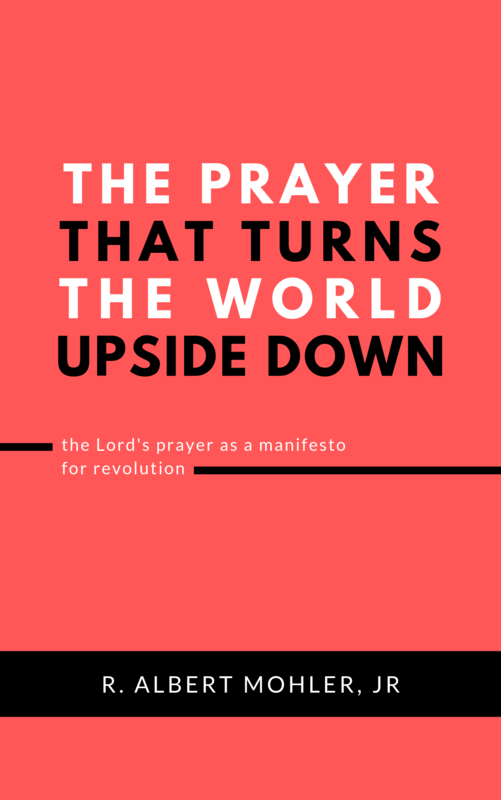 The Prayer That Turns the World Upside Down is a book that taps into several common ideas in the twenty-first century. First, many people recognize the importance of some expression of spirituality, even if they don’t want the external trappings of religion. Second, many people recognize that there is something inherently wrong with the world, even if they don’t know why things aren’t right. Third, many people long for some sort of change or revolution that will set things right, even if they don’t know how to make things right. 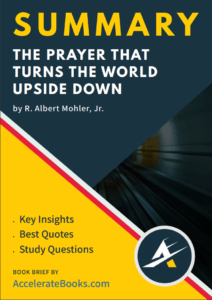 In his latest book, The Prayer That Turns the World Upside Down, Al Mohler connects these three ideas to a 2,000-year-old prayer that originated with Jesus of Nazareth. Mohler argues that the ancient prayer that Jesus taught his disciples is important today. Of course this prayer is important for those who follow Jesus, but it’s also important for anyone who senses the importance of spirituality, brokenness, and revolution. Albert Mohler, Jr. is the ninth President of The Southern Baptist Theological Seminary in Louisville, Kentucky. He regularly writes at AlbertMohler.com, and many know him as the host of The Briefing, a popular news commentary podcast. Mohler is also a regular contributor to televised and printed news. Mohler has written and published a number of other books. These include: We Cannot Be Silent, Words from the Fire, Desire and Deceit, Culture Shift, and The Conviction to Lead. Mohler is one of the founders of the wildly popular conference Together for the Gospel, held every other year in Louisville, Kentucky. Many associate Mohler with the recent growth of “Reformed theology” among younger evangelicals in the United States. Author R. Albert Mohler, Jr.